Disney’s just released the parties available for New Year’s Eve 2017, and you can book them now. You’ll have incredible views of the Magic Kingdom Park, as well as some great food in one of Disney’s signature restaurants. This dine-around style event will have cooking stations throughout the restaurant. To make things much more fun, you’ll get see some of your favorite Disney Characters, who will make appearances. This is one of the top rated restaurants in the USA, and one of Disney World’s signature dining experiences. Victoria & Albert’s is a AAA Five Diamond restaurant. You’ll experience incredibly attentive “butler-style” service, a live harp harpist and personalized menus to remember the special evening. We’ve eaten there and it’s very special. Seatings are available between 6-7:45 p.m. The price is $600 per person. Disney is featuring this as a kid friendly party. It’s an all-you-care-to-eat party that will include photo ops with fun vignettes for posing. Keep in mind that there won’t be any Disney Characters at this event. There will be Disney tunes playing. You’ll be able to walk out to the promenade for fireworks over World Showcase Lagoon to welcome 2017. Seatings are available from 3-9 p.m. The cost is $72.90 for adults and $44.38 for children (ages 3-11). Spend New Years Eve in this upscale restaurant in the France pavilion at Epcot. Enjoy a four-course, prix fixe menu of classical French cuisine. Six seatings are available on New Year’s Eve: 11:45 a.m., Noon, 2:15 p.m., 2:45 p.m., 5:45 p.m. and 6:15 p.m. The price is $110.81. There’s also a special late-night dinner with two seatings available at 8:45p.m. and 9:45p.m. The price is $305.03. Located at Disney’s Grand Floridian Resort & Spa, Narcoossee’s will offer a four-course menu with seatings between 5 and 5:45 p.m. A five-course menu is offered with seating from 8:30-9:25 p.m. for a late-night celebration with live music. The first seating $150 for adults and $70 for children ages 3-9. The second seating is $255 for adults and $95 for children ages 3-9. To book these events you can either go to Disneyworld.com/Dine or call Disney Dining at 407-WDW-DINE. We’ll add to this page as we find out about more Disney World New Years Eve Parties, so check back! 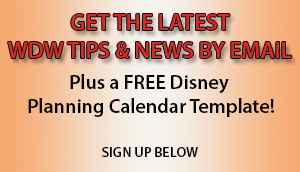 Have you been to one of Disney’s New Year’s Even Parties? What did you think of it? Was it worth it? Post your comments below.